What is a Salt Water Swimming Pool? A saltwater pool is not a chlorine-free pool. Salt chlorine generators offer an alternative method of sanitizing a pool by using salt to produce its own chlorine automatically. A saltwater pool works much the same way as any other swimming pool, but instead of adding chlorine tablets, you'll add salt pellets. If your salt pool is properly maintained, it shouldn’t taste or smell salty at all. The most common myth regarding salt pools is that they are a better choice if you have sensitivities or allergies to chlorine. Salt pools are, in fact, sanitized using chlorine. A salt-chlorine generator separates the chlorine and sodium molecules in salt and reintroduces them into the pool water. It is still the chlorine that sanitizes your pool! Another misconception is that salt pools do not require other chemicals. This is completely false and not using other chemicals could damage your pool or be potentially harmful. There is no magic inside a salt-chlorine generator that balances pool water. All parameters should be checked and balanced regularly. Additionally, salt pools need to be shocked on a regular basis and salt-chlorine generators typically do not have the ability to effectively shock your pool. All pools, no matter what the sanitizer, need to be shocked regularly– preferably once per week during warm weather. How Does A Salt-Chlorine Generator System Work? A salt-chlorine generator uses the simple process of electrolysis in combination with the water to separate the chlorine and sodium molecules and then reintroduces them into the pool as liquid chlorine. Salt is made up of two elements, chlorine and sodium, thus its scientific name - sodium chloride. Therefore, salt already has chlorine in it naturally. If you already have a pool, you can convert your standard pool to a salt pool. Two components will be added to your existing system, a salt cell and a control unit. The salt cell is attached to the pipes between your filter and water outlet and the control unit allows you to monitor the salt cell. The price for a salt system will vary based on features and brands. Check with your local Pinch A Penny expert for the latest products and pricing. What Products Do I Need For My Salt Pool? Saltwater pools have special characteristics; including high Total Dissolved Solids, or TDS, which can affect the dispersion and performance of your chemicals. When using Salinity products, you can be certain that its formula is ideal for your saltwater pool. 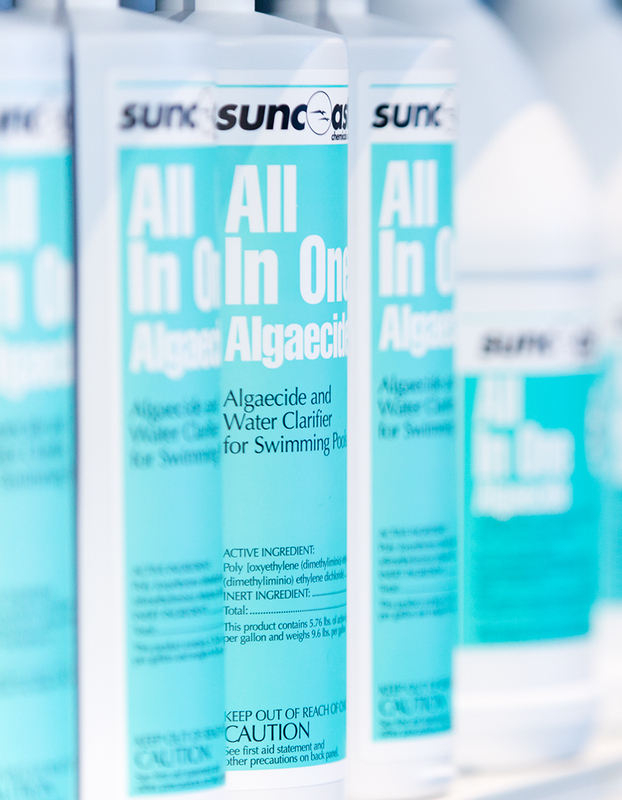 You can purchase the Salinity line of pool care products exclusively at your neighborhood Pinch A Penny store. In short, a salt water pool is just another way to keep your pool clean and sparkling. Although the initial set-up is more expensive than a traditional chlorine pool, owners have found that the time it takes to maintain it is less. If you are interested in installing a salt system in your new pool or converting your current pump system, stop into a Pinch A Penny location. The experts at your local store will give you all the guidance and expertise you need to successfully instate a salt-cell system. Which Automatic Pool Cleaner Is Right For Your Pool? The Pinch A Penny Mobile App Is Here!